Award Winning Singer-Songwriter Randy Sauer's Concerts are High Energy Family Shows with Audience Participation. Randy won 2014 Best Children's Song of the Year from the Indie Music Channel out of Hollywood!! Randy performs with his guitar, ukulele, and fun background tracks that will have the audience dancing, singing and moving to the music. Shows are being booked for 2014 - 2015 and Randy's Music Jam would love to be a part of your event!! Make your child's birthday party or event special and unforgettable with a show of singing, dancing, giggles and wiggles with Randy Sauer and his Randy's Music Jam. My shows make it easy for kids to participate in every song the first time they hear it. Of course kids enjoy my guitar and rhythm instruments I bring along, but by far the most fun is when the kids join randy with his trash can band! Randy Sauer is a Children's Songwriter/Singer from Hays Kansas and he calls his show "Randy's Music Jam". Randy’s Music Jam is a fun and interactive music show for the entire family. Randy leads the audience in fun familiar songs and has the audience singing along with his original songs. 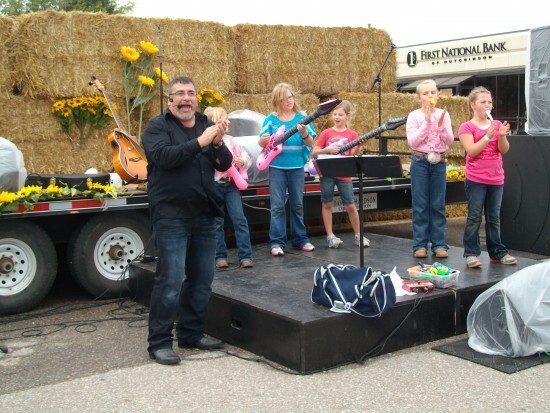 Kids always enjoy jamming with Randy on stage with the inflatable instruments and rhythm instruments. Randy's songs will have the entire audience up out of their seats dancing to the music. 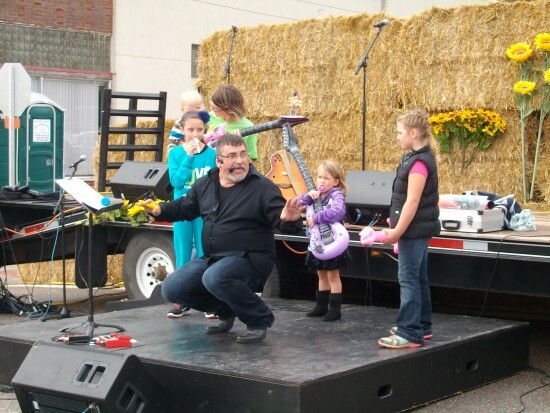 Randy has been performing at Libraries throughout Kansas, Malls, Town Festivals, Kansas Sampler Festival, The Country Stampede and the Midwest Kids Fest in Overland Park, KS. Randy has been teaching music for over 17 years and is very active in writing children’s music, performing and conducting music workshops. We provide a Professional Sound System and move quickly from one activity/game to another.